Pouring at the Omaha Wine Company Happy Holidays! All equal Big Savings on Big Bottles. Starting at 12:01 AM (Pacific) on Friday morning and lasting until midnight Sunday night (or while supplies last) every big bottle in stock will be marked down 20%. Repeat customers can log in and get their eligible discount as well. 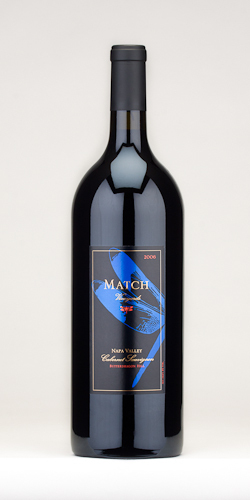 That means some of you will get 40% off the regular price on rare Match Vineyards magnums! Please note that some of these bottles have less than 6 in stock so you should act as quickly as possible.